At Halton Region we want to make getting ready for back to school as easy as possible. Some immunizations are required to attend school, so it is important to make sure immunizations are up-to-date and reported to the Halton Region Health Department. You can now report immunizations using our online reporting form – you can even take a picture of your immunization record and send to us through our webpage! If you’re unsure what immunizations the Health Department has on file, you can fill out the convenient online immunization records request form to request a copy. You can also update your records on-the-go by downloading and using the OneHalton app. If your child is unable to get immunized or if you choose not to, you must have a notarized exemption on file with the Health Department in order to meet school attendance requirements. As always, parents or guardians can also report or request records in person or by dialing 311. As we continue to enforce the Provincial Immunization of School Pupils Act (ISPA), the Halton Region Health Department periodically sends letters to students in target age groups who have outdated immunization records. In spring 2017, we sent out letters to families of students born in 2008 and 2009; we’re currently sending letters to families with students entering grades 9 to 12 this school year. If you received one of these letters, please report your child’s immunizations as soon as possible to the Health Department to avoid possible school suspension. If your child requires certain immunizations, please visit your family doctor. If you are in need a family doctor, please visit halton.ca/newdoctor. Working together, we can protect ourselves, our children and our community from vaccine preventable diseases. 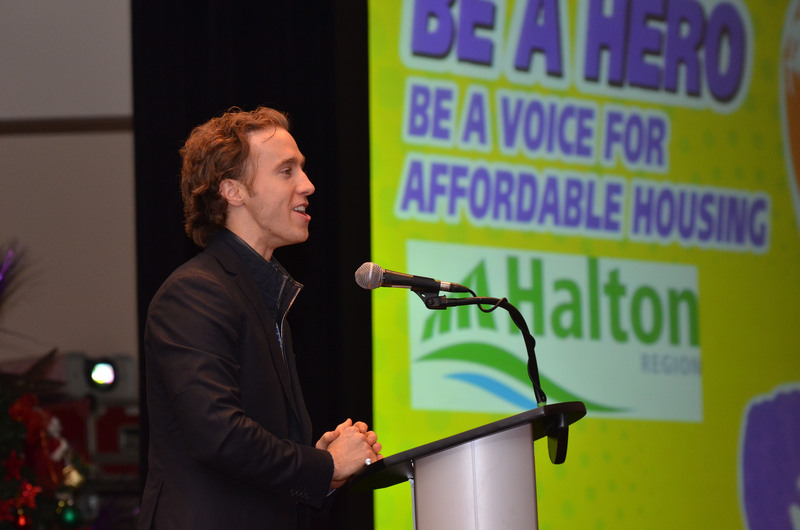 Thank you for helping us keep Halton a great place to live, work, raise a family and retire. It’s that time of the year again for the kids to go back to school. Are you ready for school routines, packing lunches and making sure your kids children know how to get to school safely? As you enjoy the final days of summer vacation, I want to share with you a number of Regional resources that can help make your families’ transition back to school—safe and healthy. Do you have a major change happening in your family? Is your little one starting kindergarten or maybe you have an older child starting high school? Halton Region offers two online resources filled with valuable tips and information to help you support your child as they start school. Ready, Set, Go!, for preschoolers starting kindergarten and Ready, Set, Whoa!, for teens, can help you navigate and support your child’s journey through the next stage of their life. Immunization is one way to protect our community from the threat of preventable diseases that can easily be spread in schools. If you haven’t already done so, please ensure your family’s immunizations are up-to-date and that your children have all of the legally-required immunizations to attend school. All updated immunizations must be submitted to the Health Department. Halton has recently been making it easier for parents to report and request immunization records. You can now report immunizations either online, in person or by dialing 311. If you’re unsure what immunizations the Health Department has on file, we recently launched an online immunization records request form to give you a more convenient way to request a copy of the immunization records we have on file. Teaching children to cross the road safely when walking or biking is an important first step towards independence. As parents, we start by holding their hand as they cross the road and reminding them to always look all ways before crossing. When our children begin to head to school with friends—it is still important to keep talking about safety. If your child will be going to school on their own, you may want to practice walking to school together so they feel comfortable with the route. Our website (halton.ca) also includes information on pedestrian and bicycle safety that can help reinforce important safety messages with your children. Getting organized and managing the demands of “back-to-school” routines can feel overwhelming at times for parents and children. Remember you can call or connect online with HaltonParents where public health nurses will provide support, information and other resources to cope with those everyday issues. Connect with us online at halton.ca/haltonparents, on Twitter @HaltonParents and Facebook, by email at haltonparents@halton.ca, or dial 311 to speak directly with a public health nurse. I would like to wish all Halton parents, students, teachers and school staff a wonderful, safe, healthy and productive school year. At Halton Region, we encourage and support our residents to make healthy choices. In the spirit of Valentine’s Day, I would like to take this opportunity to talk about how making healthy choices can help prevent the risk of heart disease and stroke. Heart disease is one of the leading causes of death for both men and women in Halton but it is preventable and manageable. Eating healthily, keeping physically active and living tobacco-free can help reduce risk of heart disease. Halton Region offers many programs and services that support healthy eating, physical activity and tobacco cessation. Below are some examples of the programs and services that the Halton Region Health Department provides. Our Community Food Advisor Program helps educate community groups about the skills needed to adopt healthy eating habits. Participants also learn more about safe handling and food storage. Farm to School works with local organizations to bring fresh, locally grown produce into Halton elementary schools to help influence healthy eating habits in a positive way that can also help children understand where food comes from. Eat Smart helps employers in the Region provide healthy food choices to employees by offering awards to companies that maintain high standards of food safety while also offering nutritious food choices in the work place. Walking is a great way to add physical activity into the day. The Count Your Steps Program is a partnership between Halton Region and participating libraries and municipalities that allows residents to borrow pedometers to help track their progress. Through WalkON , Halton Region works to engage the community, municipal staff, and elected officials in the creation of built environments that support walking for active transportation. Halton’s Stop Smoking Clinics work directly with residents who smoke to determine personalized methods of quitting, free of charge. Our Tobacco Cessation Community of Practice brings together health professionals interested in helping people live smoke free to share and learn more about cessation. If you would like to learn more about these and other programs, please dial 311 or visit www.halton.ca/healthresources. We’ve been making our website a priority over the past few years – to improve the information and resources we have available to the residents of Halton and increase the interactivity of our site. Now, parents of children ages three or four will find everything they need to know to help prepare their child for the transition to kindergarten in the new “Kindergarten: Ready, Set, Go!” pages. 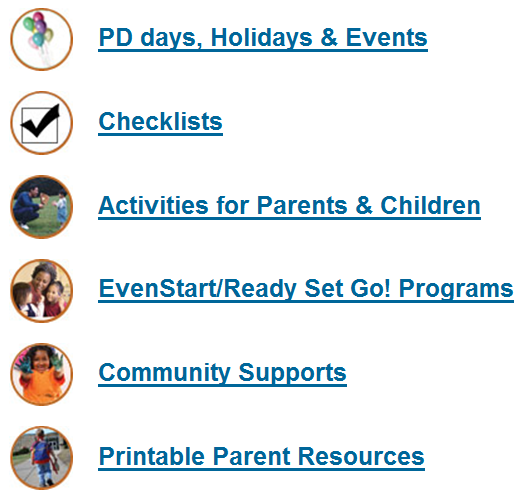 Topics and resources cover the five key areas of child development, health and building healthy lifestyles, setting routines, parenting tips, reading, schedules of school PD days and holidays, and upcoming local parenting presentations. In Halton, almost one in four five-year olds (Our Kids Network Report Card, Early Development Instrument) results is not ready for school. Halton Region, in partnership with our community organizations, want to help change this statistic and ensure parents in our region have the information, resources and support they need to help give their children the confidence and skills they need to succeed in school. The “Kindergarten: Ready, Set, Go!” pages should certainly help them achieve this goal.